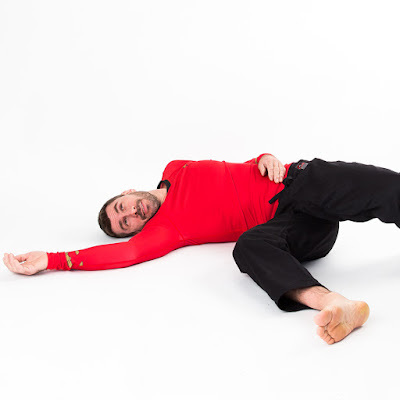 Fusion Fight Gear have revealed a new range of Star Trek fighting apparel, with designs drawing from TOS and TNG. 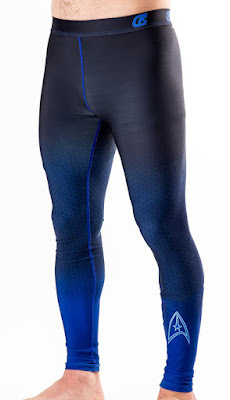 If you're not much of a fighter they're good for all sorts of other sports and activities too, with a wide range of rash guards (tops) and spats (bottoms), plus a unique Star Trek gi. Continue below to check out all the designs. 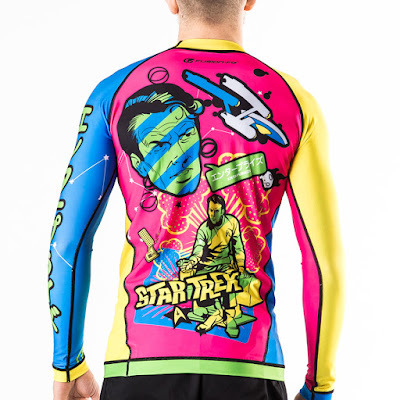 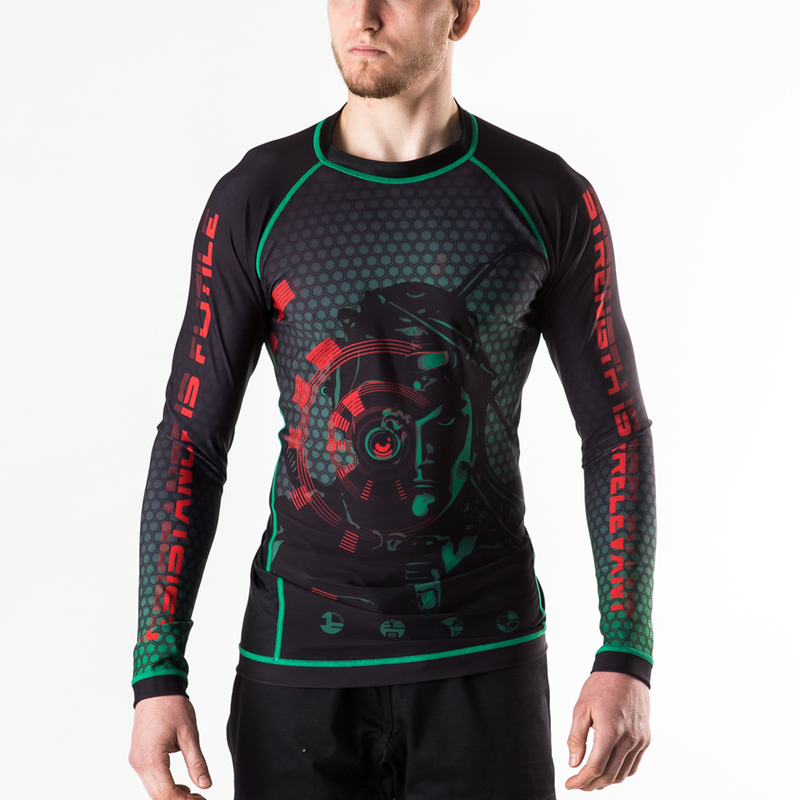 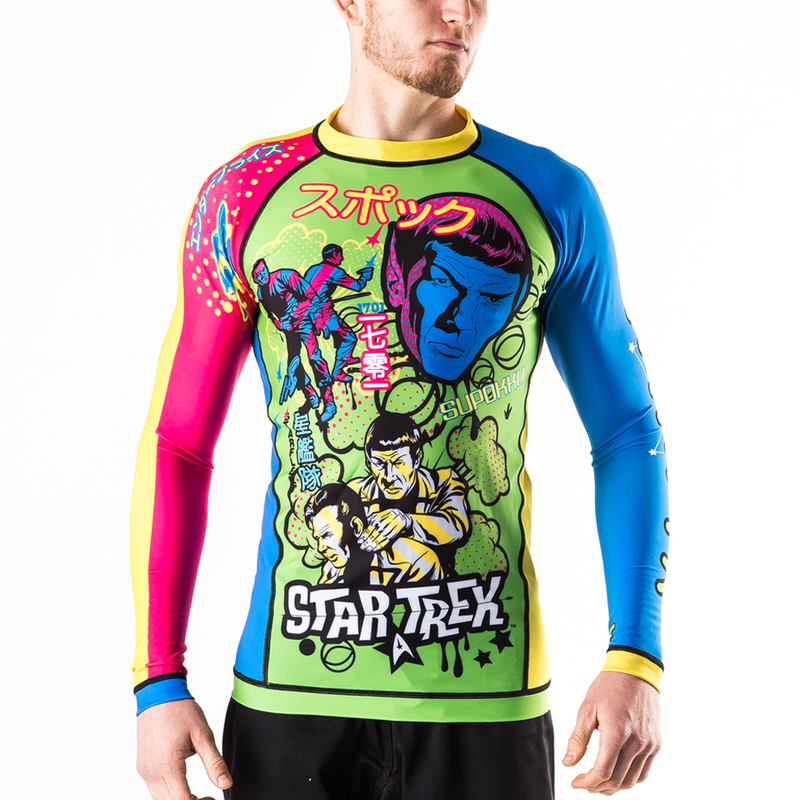 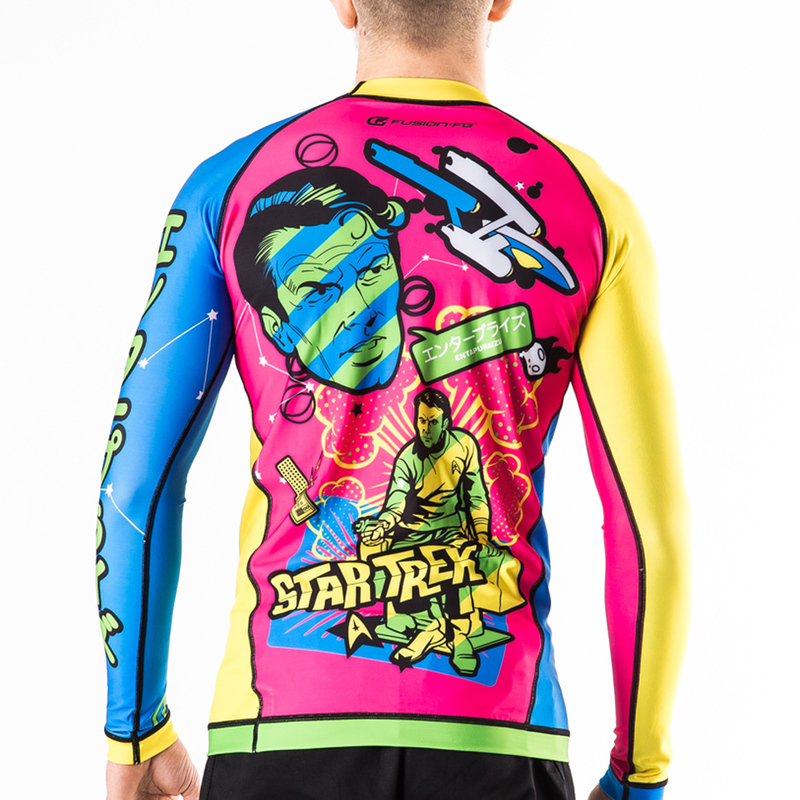 The colorful Star Trek Tokyo Invasion rashguard is inspired by artwork created exclusively for the Japanese market when the original Star Trek series gained popularity there during the 1970’s. 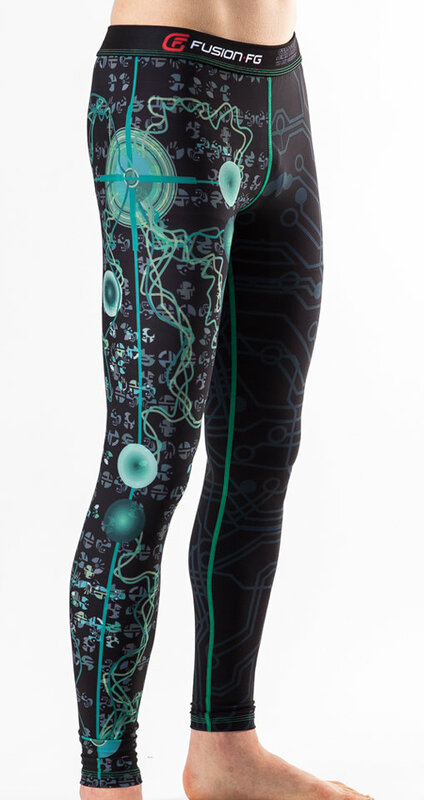 There are also matching Borg spats, which feature one leg covered in Borg interfaces, and the other with a large Borg emblem. 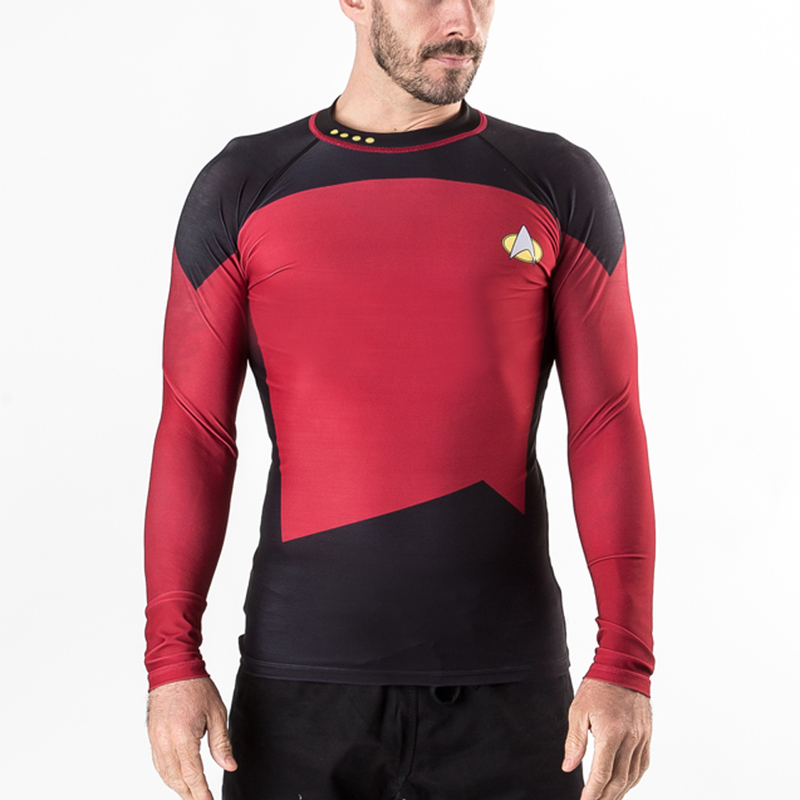 Also offered are TNG uniform inspired rash guards, although if you're a scientist or doctor you don't get to play, as these are only available for command and operations personnel. 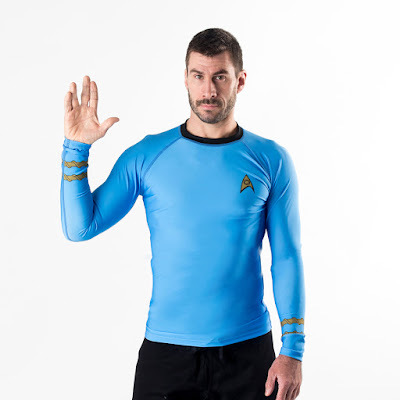 23rd century fighters get all the options though, with uniform styles tops from command, operations, and the sciences. 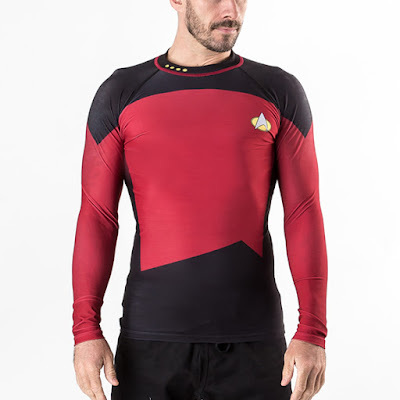 I think Fusion's model has got the right idea though, surely wearing a red shirt for a fight is just suicide! 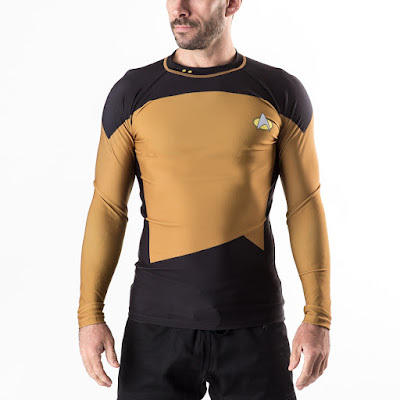 To complement any of the TOS designs there are also USS Enterprise spats, which like the Borg design feature the ship prominently on one leg, with a Starfleet emblem on the other. 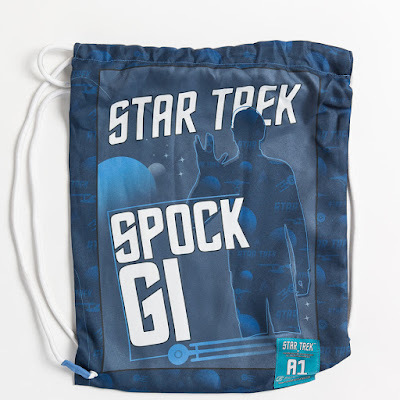 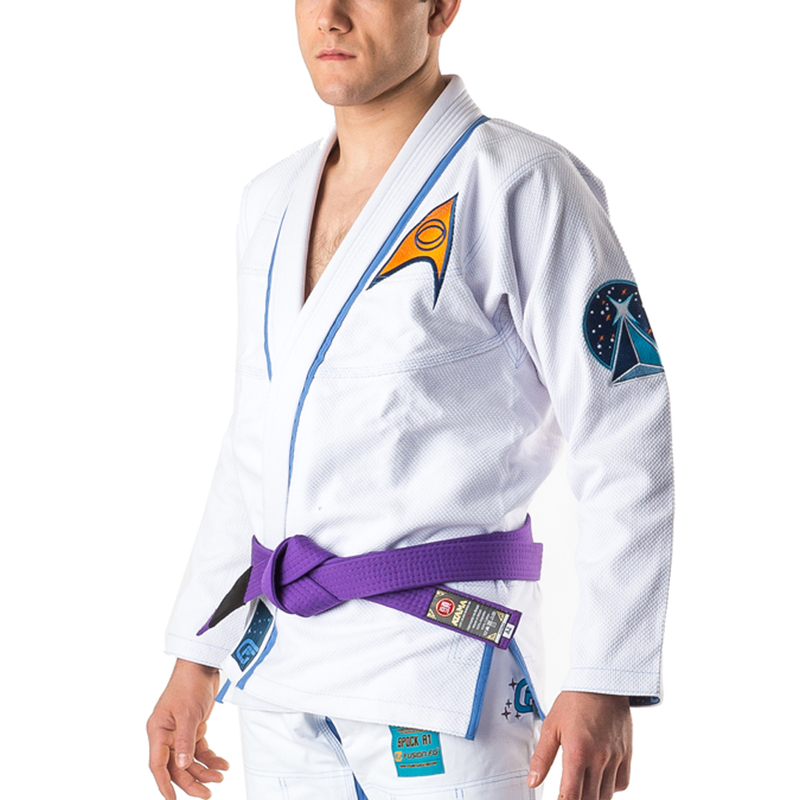 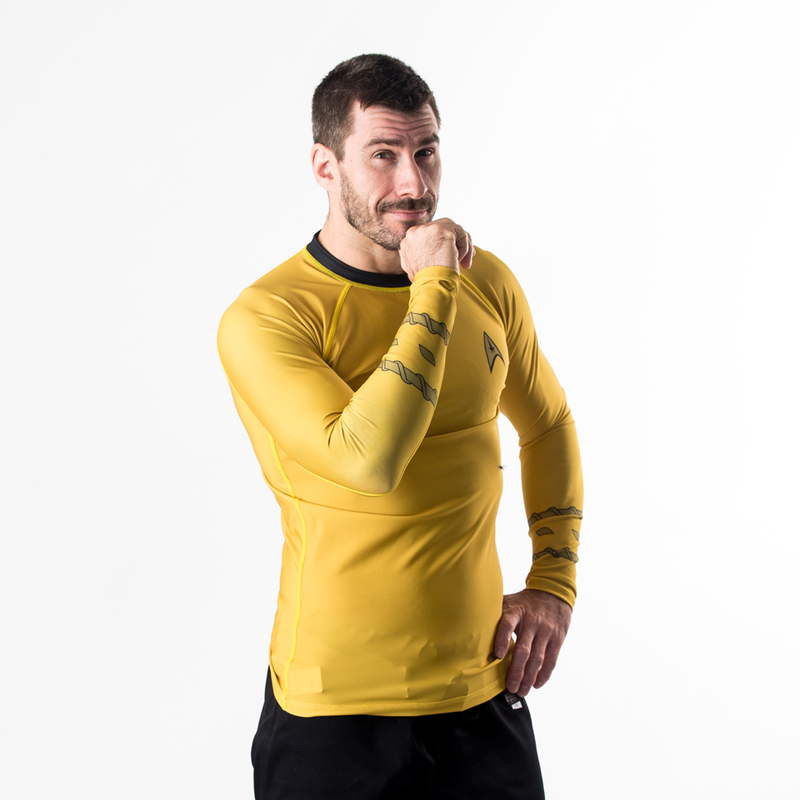 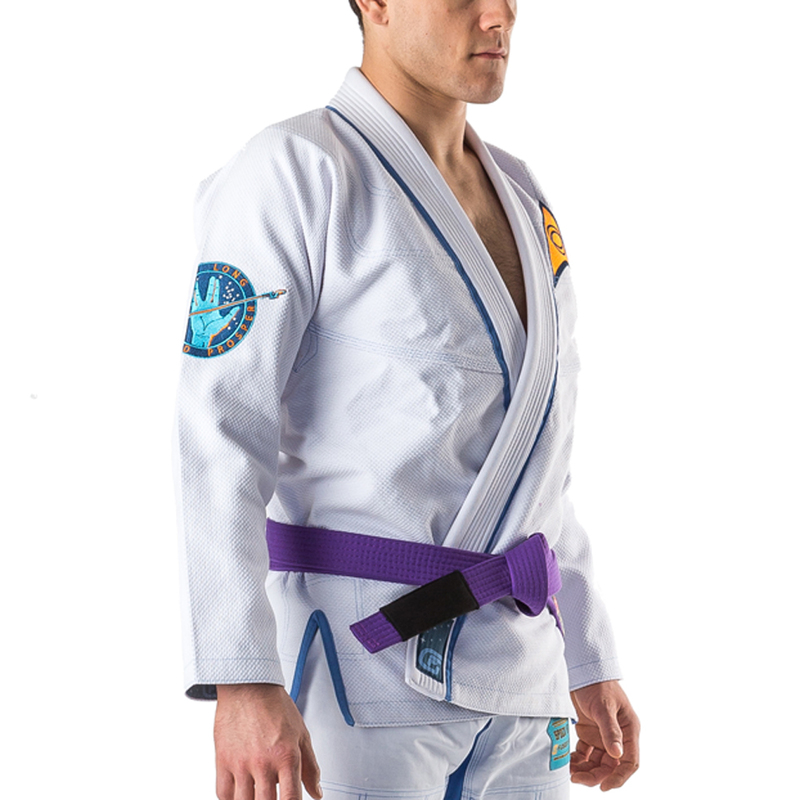 Finally the biggest item in the range is the Spock Brazilian jiu-jitsu gi, which features a variety of Spock/Vulcan inspired emblems all over it. 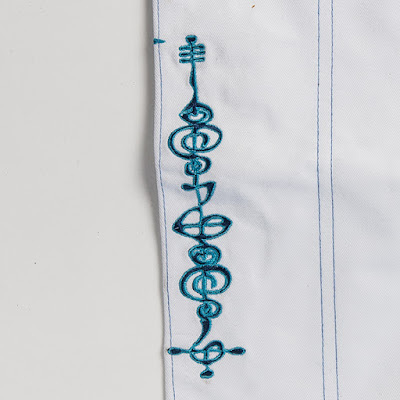 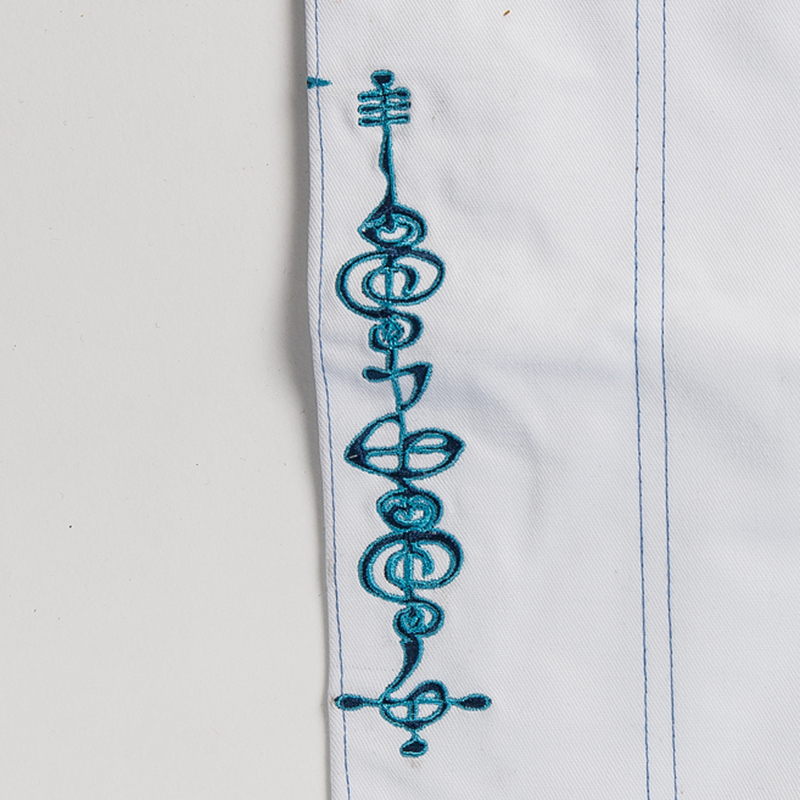 My favourite detail is on the leg, a nice little section of Vulcan script. This one comes with it's very own bespoke bag to keep it in too! 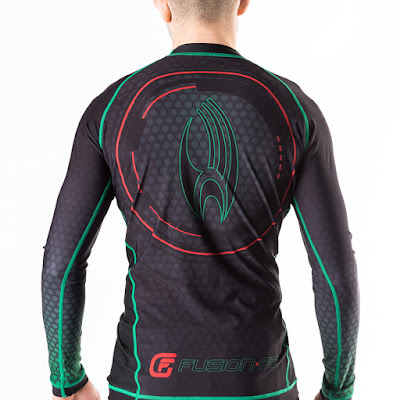 For more details and images on all these, check out the listings on Fusion Fight Gear's website.